2017 was certainly a busy year for everyone at Bundledocs. Not only did we add a wide range of great new features, we also expanded our integration partners, customers and even our team! Although it was hard to narrow it down to just a few, we have compiled a list of our Top 5 Highlights of 2017. Through-out 2017 Bundledocs were delighted to showcase and sponsor a number of leading Legal Tech events in London. We kicked off the year as sponsors of the British Legal Technology Forum. This was an event not be missed and as the 2017 Delegate Bag Sponsor, it was great to see so many Bundledocs Bags throughout the event... and even through the streets of London! We didn't stop there. Bundledocs were delighted to link up with our partners iManage to exhibit at ConnectLive2017 in London. Our team were on-hand to showcase our seamless integration with iManage FileSite and DeskSite and demo just how easy it is to prepare professional electronic binders in minutes. We capped off the year at the London Law Expo in London. This year's event was bigger and better with the amalgamation of The London Law Expo and The European Legal Security Forum. Our team were delighted to catch up with many of our happy customers - as well as meet some new faces. Big thanks to everyone who stopped by and we look forward to meeting again in 2018! 2017 certainly was a busy one for everyone at Bundledocs. With our continued rapid growth, in September we expanded our team once again with the appointment of Matt Breen as our new Head of Sales. In this newly created role, Matt will be responsible for spearheading our sales and global partner networks. As well as expanding our team, Bundledocs were delighted to open our new London office. Located in the heart of London, our new office is a perfect spot for us to meet even more of you. Interested in learning more about Bundledocs? Make sure to get in touch with Matt to arrange an appointment. In 2017 Bundledocs were delighted to be accepted as a UK Government Digital Marketplace supplier under the new G-Cloud 9 framework. This is the second time Bundledocs have applied to the framework (we were already a G-Cloud 7 approved supplier) so we were thrilled to be accepted once again. If you are a local government looking to adopt a new bundling solution to assist with the preparation of court bundles and trial bundles (and much more), then make sure to book your free demo today! At Bundledocs we know how important it is for you to be able to quickly and easily access your documents. That's why we continue to develop powerful integrations with the leading systems on the market today. Back in February we were thrilled to announce our latest partnership with iManage, the leading provider of work product management solutions for legal accounting and financial service firms around the world. 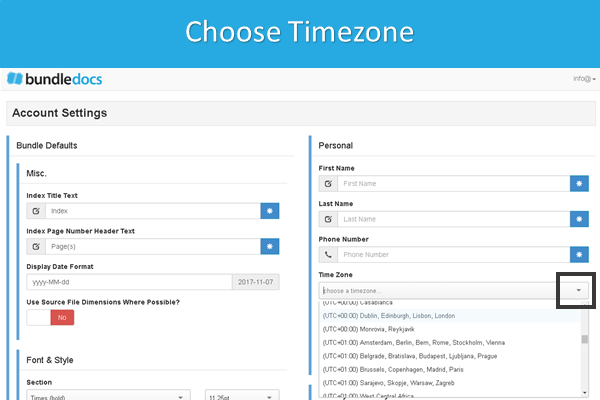 Our integration seamlessly works with FileSite and DeskSite 8.5+. We also offer full Work 10 server integration so you have anytime access to your iManage documents. That's not all. Bundledocs also welcomed Actionstep legal practice management system as an integration partner. As both Bundledocs and Actionstep are completely cloud based, this is a perfect match and ensures that no matter where you are, you can access your documents and prepare bundles - any time, any place. Visit our dedicated Integration Partners page for a full run-down of our integrations. Bundledocs are dedicated to providing our customers with a solution that helps take the hard work out of document preparation. Our Development team are continually developing new features and enhancements to help improve our current service offering. Through-out the year our team have been busy adding features including: the ability to work with late inserts (i.e. documents that arrive in at the last minute); prepare your final bundle in zip format (so you can send your document in their original format); add annotations; and the ability to print your final bundle either single or double sided. Not only that, we have also added even more collaborative features and a range of options for you to further customize your bundle. What could be better! Make sure to follow us on on Twitter, LinkedIn, Facebook, Google+ and YouTube to keep up-to-date with the latest feature releases. With even more exciting plans and developments in the pipeline for 2018, this looks set to be the best year yet. If you have not already availed of our 30-day free trial, then start yours today! 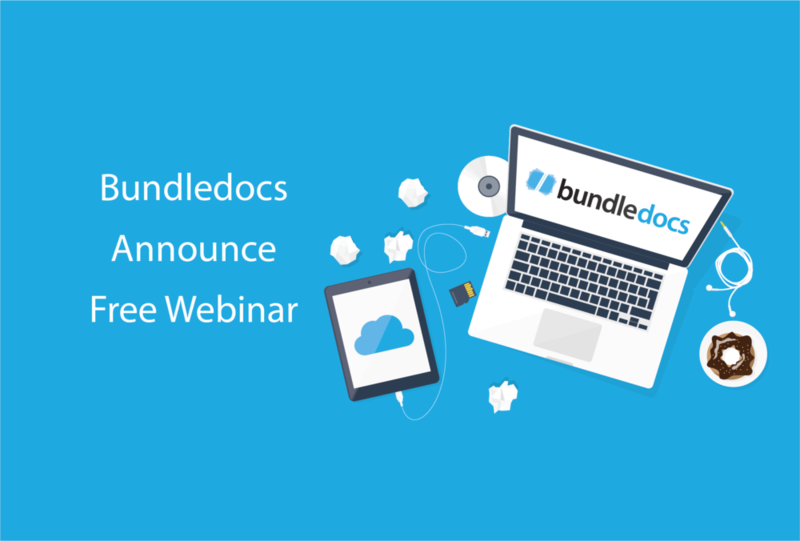 Bundledocs is delighted to announce we will be hosting a FREE webinar on December 6th. Bundledocs is a great tool that lets you add word, pdf, emails, spreadsheets or any type of document. Upload directly from your case management system, document management system or from anywhere. It then automatically collates them into a fully indexed electronic court bundle or binder that can be easily distributed to your clients or any third party. Is Bundledocs for you? A snapshot of how Bundledocs helps lawyers. 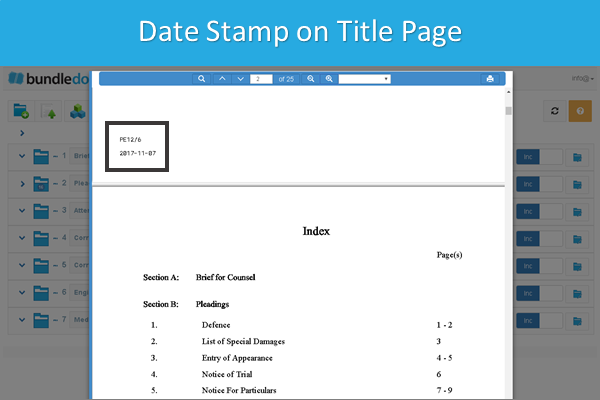 The simple 5 step approach to preparing closing binders and document bundles. Top tips for improving efficiency and how to make moves towards a paperless office. Attendee Exclusive. All attendees will receive a FREE all access 30-day Bundledocs trial - with no obligation. Come and Join Us! Our webinar is taking place on Wednesday, December 6th at 11:00 AM GMT. Register today to book your place. Can't make the webinar? Not to worry. Get in touch with our team who will be happy to arrange an online demonstration of Bundledocs court bundle software at a date and time that is convenient to you. It only takes approx 20 minutes so get in touch today!